This book is fantastic. No, seriously. I shared this with some younger kids and it was such a big hit that I may need to pick up some of these as stocking stuffers! 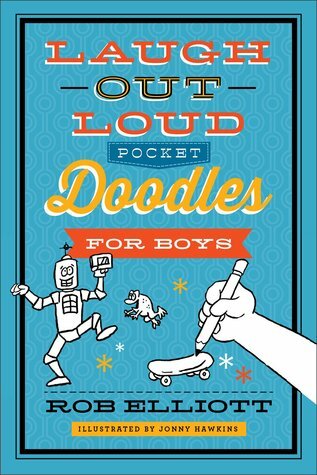 The jokes are definitely on a child's level and who can resist doodling and coloring? Not a single child that I know, including me! Honestly, I can't come up with a single bad thing to say about this book. The books are a great size for backpacks, travel packs or just for carrying around. The jokes are funny, the tongue twisters hilarious, and if you don't go pick up one or a dozen, I'll be very sad.